Margot Balboni’s “Piazza San Pietro” at Cantor Art Gallery. WORCESTER — The most unusual area art show of 2014 is “Goya: Order and Disorder,” at the Museum of Fine Arts. It’s unusual because that degree of quality is so uncommon. “The Italian Presepe: Cultural Landscapes of the Soul” may be the second most unusual — unusual because of its subject matter and the imaginatively varied way the exhibition gets at it. The show runs through Dec. 17 at the College of the Holy Cross’s Cantor Art Gallery. A presepe is a nativity scene. The tradition began with St. Francis of Assisi, in the Italian town of Greccio. 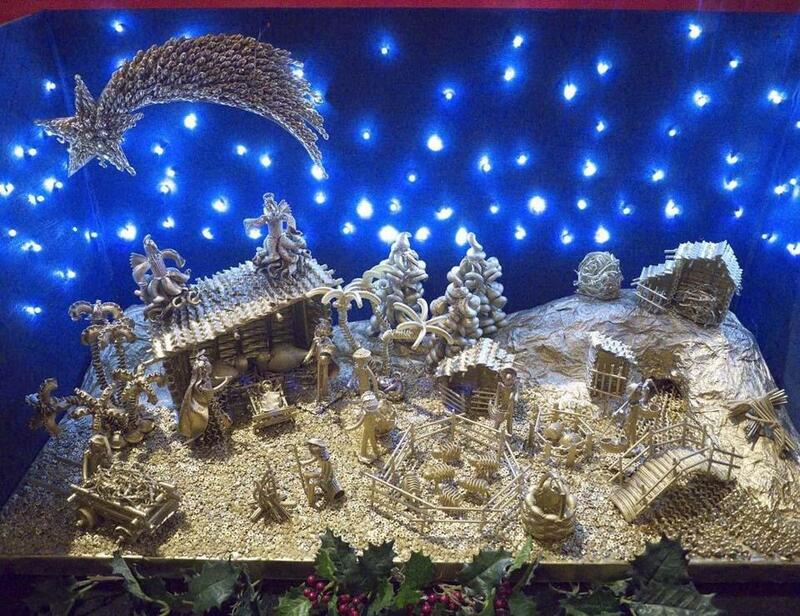 Francis said Christmas Eve Mass there, in 1223, with straw on the altar and live animals, re-creating the manger setting. Over the centuries, the crafting of nativity scenes has become as ingrained in the Italian celebration of Christmas as trees and wreaths have in the United States. Presepi (the plural of presepe) can be religious or secular, elaborate or simple, indoors or out. They tend to the gaudy, in a good way. Some presepi lie at the intersection of sanctity and weirdness. How weird? Roman schoolchildren made a presepe out of pasta in 2012. A picture of that carbohydrate-rich construction is among more than 50 photographs in the show taken by Margot Balboni. She and Holy Cross English professor Sarah Stanbury curated “The Italian Presepe,” a show in which Balboni’s photographs form the core. 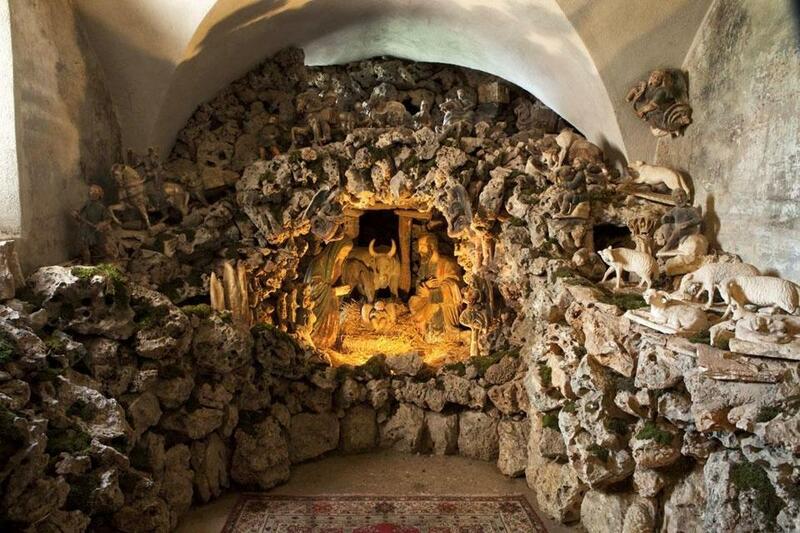 They not only document a wide array of presepi, from the Vatican’s annual display in St. Peter’s Square to one in a grotto that dates to the 16th century, and another, in Puglia, sited in a Roman amphitheater. 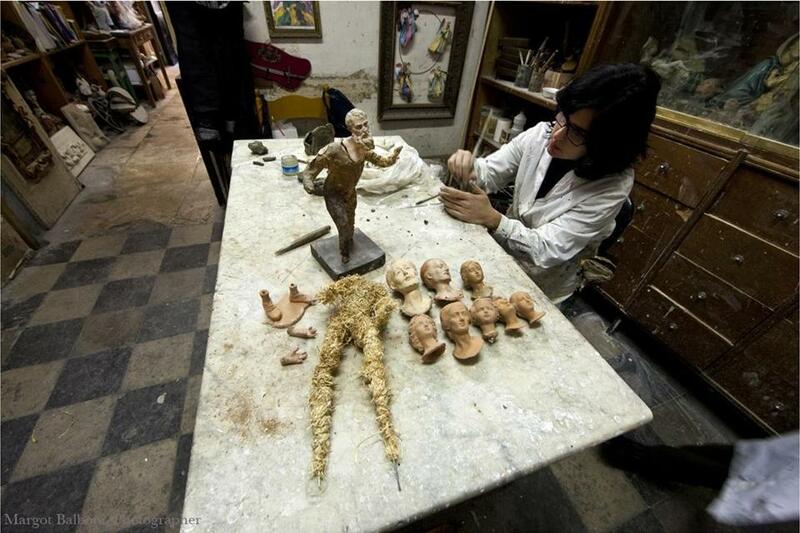 Balboni photographs individual nativity figures, many of them highly detailed, and the workshops where they’re made and artisans who make them. 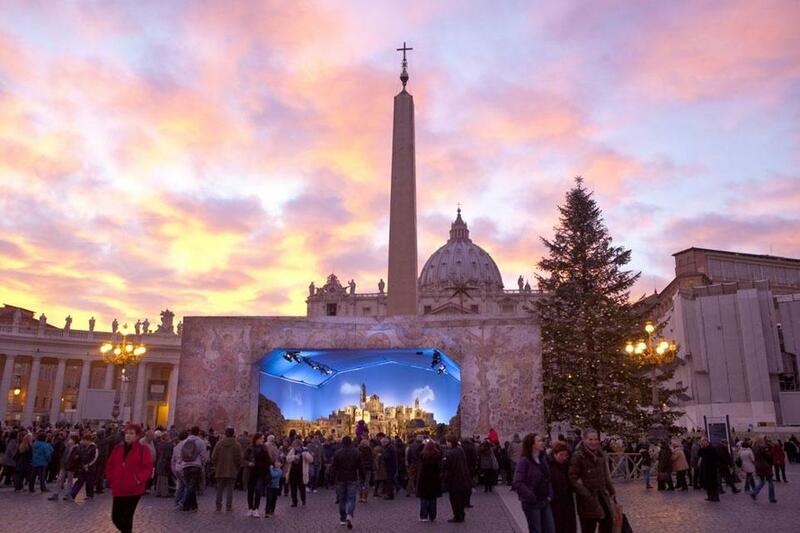 There’s a market in Rome’s Piazza Navona for presepe bric-a-brac. You’d be surprised by the things a person can get there for a single euro. The overall effect of Balboni’s pictures is of a tradition that remains highly dynamic, one that hasn’t just endured but evolved. Balboni’s pasta presepe “100 Presepi Exhibition” at Cantor Art Gallery. A sense of that evolution comes from various supplementary materials in the show: a 15th-century woodblock print, several Piranesi etchings, an early-19th-century map of the Grand Tour. An 18th-century polychrome angel and pair of terra-cotta figurines from 1810 remind us that presepi are tactile and three-dimensional. Nativity scenes, which began as a form of worship, might be seen in art-historical terms as the first installations. With its variety of objects and lively eclecticism, the show itself feels like an installation. It’s in no way meant disrespectfully to point out that presepi have a proto-pop aspect. They put entertainment and delight at the service of worship. This is the rare art exhibition that small children might take as much pleasure in as the adults who bring them. It’s a shame that its run doesn’t extend into Christmas school vacation.